Notice: This is an old thread. The last post was 2801 days ago. If your post is not directly related to this discussion please consider making a new thread. Efficient and profitable reproductive performance in a dairy herd requires routine but conscientious heat detection and proper timing of artificial insemination. 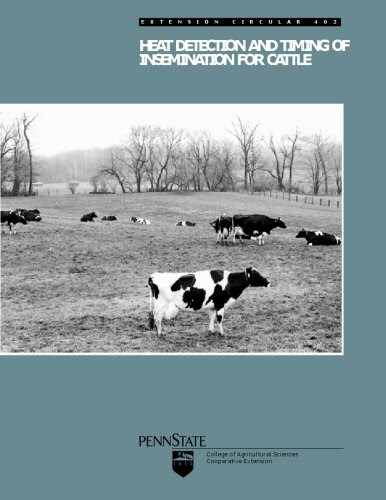 This publication provides information on characteristics of the oestrous cycle, signs of heat and oestrous behavior, factors affecting expression of estrus, and management suggestions for improving heat detection. Last edited by Motoko; 28th December 2012 at 10:47 PM. Reason: ELABORATION. RETRIEVE EXPIRE LINK. Heat Detection and Timing of Insemination for Cattle. Last edited by Motoko; 6th February 2018 at 12:22 PM. Reason: UPDATE.